And you want to call it with different parameters in series. What would you do? As I mentioned in my Medium post (in Chinese), I’ve been working on a side project called Yomu (and in case you wonder, the name is an Otaku term from the anime 境界の彼方). I’ve been working on a video streaming macOS app for a while, and I need to find a way to get the thumbnail of a bunch of videos. Just like many other things, there are multiple ways of achieving this. So in this post I will show you the two solutions I found and do some comparison. In one of my current projects I wrote a macOS app that runs an embedded HTTP server and publishes itself as a Bonjour service. This can be easily done with an awesome library called CocoaHTTPServer. And from an iOS app that works with this macOS app, I need to browse available Bonjour services in current network and resolve their IP addresses and ports. Note that, to be able to use custom workflow in Alfred, you need to purchase Alfred Powerpack. Otherwise this post may not be helpful to you. If you are a developer using macOS you are probably using iTerm2 as your main Terminal. Won’t it be nice if you can launch iTerm2 and automatically cd into the current Finder directory? Well there are some existing tools for this, but these solutions require you to drag and drop the folder into an AppleScript or right click on the folder. But I don’t want to move my fingers away from keyboard, which affects my productivity. As a heavy user of Alfred.app, I think it would be great if I could do this with Alfred. Currently I am maintaining a 2D Unity game (check it out here if you are interested). I was trying to implement a feature that when the user gives illegal input, the whole screen would shake (or vibrate if you would) for a while. 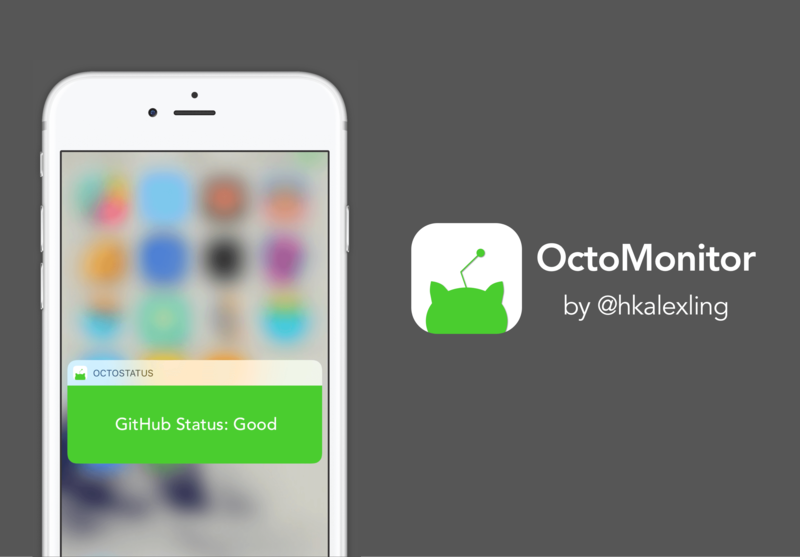 During my final exam revision week I’ve spent two days to work on a side project called OctoMonitor, an iOS app that notifies you with the changes of status of GitHub services. If you are a developer like me, you probably spend lot of time in your terminal. I am sure you’ve encountered situations where you have a long-running process to run in terminal but you don’t have the time to wait for it to finish (e.g., for iOS developer the pod repo update command for CocoaPods takes a long time). Won’t it be nice if your terminal can trigger a notification in notification center when the process is done? So recently I’ve got tired of writing massive nested callback blocks in Objective-C (like what they called “callback hell” in JS community), and I decided to give reactive programming in Cocoa a try. The previous theme I used was NexT. It’s a great theme with good documentation, high customizability and a neat layout. The problem is, it’s way too clean, while I want more style in my blog. Besides, being the most starred Hexo theme on GitHub, NexT is used by many tech blogs, but I really don’t want my blog to look like others’. © 2015 - 2017 Alex Ling, powered by Hexo and Yuno-Apollo.